SUBCOE is an established manufacturer of electrical equipment for Oil Field applications with three manufacturing plants and a focus on the Variable Frequency Drives (VFD) and Power Skids for the Artificial Lift industry with a proven 15 year track record. We are an OEM vendor to many of the major international pump manufacturers and to end user customers with our systems reliably operating throughout North & South America, North Africa and the Middle East. By incorporating Rockwell Automation ConnectedProduction™ solutions we help enable the digital oilfield for our end users. Our 23,000 sqft purpose built manufacturing facility in Sherwood Park, Edmonton has distinct manufacturing sections for Skidded MCC / Power Systems, VFD’s, IEEE519 & Sinewave Filters, sub-assembly components and a well organized warehouse for maintenance of the extensive stock of parts that are required to feed the manufacturing sections. We are a YASKAWA Factory OEM Manufacturer for International Oil & Gas and a Rockwell Automation Machine Builder Partner for OptiLift™ RPC high temperature drives. Our normal manufacturing volume is approximately 400 – 500 VFD’s per year in the range of 100 to 1100kVA with significant manufacturing efficiency changes, including full implementation of ISO9000-2015, allowing continued growth beyond this volume. 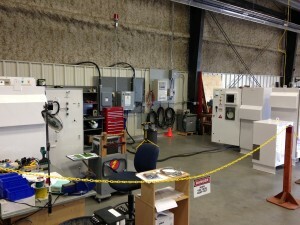 The main workshop floor has a flexible floor plan and a 10 Ton overhead crane. 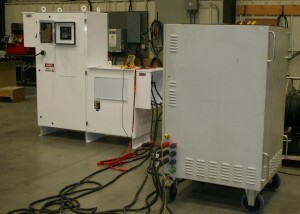 For testing we have a permanent testing station with multiple power systems for 600V/480V/400V, 50/60Hz. The testing bay additionally has a heat simulation oven large enough to allow the testing of all of our drive products in controlled temperatures up to 80DegC. SUBCOE tests all products that are offered in the conditions that they will be applied, being unsatisfied with many of the sub-systems available on the market we chose to developed our own in house sub-assemblies for arctic heating, desert cooling, fan modules and other such sub-assemblies. Our product line ranges from mini-drives (1 – 30Hp) used for small machinery control, through our traditional 50Hp to 1000Hp oil field drives to our high horsepower drives up to 1500Hp. We have in house design capabilities with all products being developed in 3D Solidworks (R) allowing a wide variety of options with respect to the IP/Nema rating taking into account the environmental and application up to and including Nema4X / IP67. All of our drive system enclosures are custom built to our own exacting standards by our fabrication partner, with the current heavy reliance on structural welding we are in the process of transitioning to our newly developed, eco-friendly, modular frame and paneling system. The new modular system is not only more efficient and more flexible, it is also stronger and it significantly reduces the welding requirements during the manufacturing phase.